(Natural News) Today’s children are growing up in a world dominated by digital devices. As a parent, it is becoming a huge challenge to control a child’s screen time because it also supports their educational and social development. But where do you draw the line? American children spend an estimated 5 to 7 hours of their day watching TV, texting their friends, and playing video games. This is bad news. 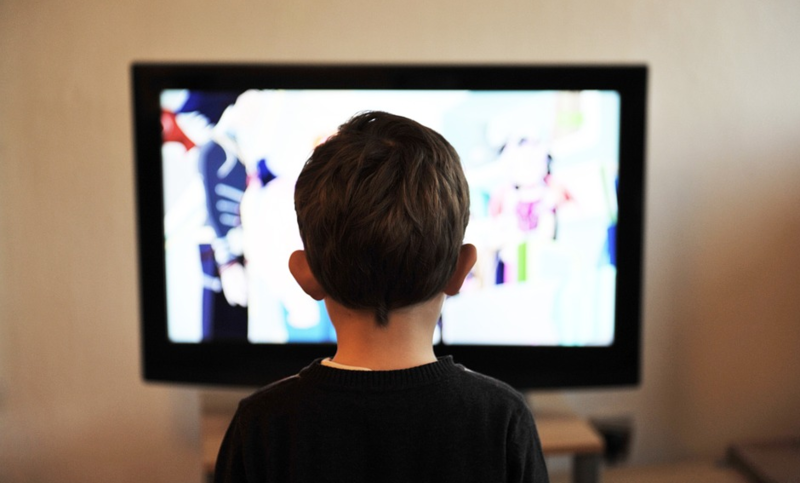 Previous research has shown that too much screen time bombards children with thousands of TV commercials and other screen ads that often lead to unhealthy food choices high in sugar, salt, or unhealthy fats. Additionally, spending too much time gazing at digital gadgets also raises the risk of obesity, sleeping difficulties, attention problems, anxiety, and depression. A study by St George’s University of London recently added childhood diabetes to that list. The study, published online in the Archives of Disease in Childhood, found that some children who are allowed more than three hours of screen time a day show warning signs of Type 2 diabetes already. Compared to their screen-addicted peers, children who spend less than an hour a day in front of a screen have 3.3 percent less body fat, 10.5 percent less chance of developing insulin resistance, and 9.3 percent higher levels of leptin – a hormone that curbs the appetite. According to the authors of the study, these findings suggest that lowering screen time may have a significant impact on reducing Type 2 diabetes risk factors in both boys and girls from all ages. Dan Howarth, Head of Care at Diabetes U.K., said childhood diabetes is increasing at a worrying rate and should be a concern of every American parent. He added that as a nation we should encourage physical activity rather than a sedentary lifestyle not only for ourselves but for our kids too. For the survey, the researchers analyzed data from the Child Heart and Health Study in England, including nearly 4,500 nine- to ten-year-old students from 200 primary schools across London, Birmingham, and Leicester. The children were asked about their daily screen time while they were assessed for a series of metabolic and cardiovascular risk factors such as body fat, blood pressure, and insulin resistance. They reported that around 18 percent of the U.K. children spent more than three hours looking at screens per day. They reported a strong trend between screen time and total body fat, with those clocking in at 3 hours of screen time a day, or more, experiencing a heightened risk of weight gain, obesity, and Type 2 diabetes. Claire Nightingale, a medical statistician at the St. George University of London and co-author of the research, and colleagues noted that it isn’t the increased screen time itself that results in raised diabetes risk factors, it is the behavior that comes with it that give rise to the disease. “Screentime could be capturing something about your behaviors – how much sedentary time you have and how much you break that up [or] what your dietary habits [are], potentially,” she said. According to Dan Howarth, the study highlights the worrying trend of obese children and increased numbers of childhood diabetes. These alarming findings should be a wake-up call for parents and governments alike to start addressing the childhood obesity issues in the developed world. To fight the rising issue and protect your child’s health, Howarth recommends living a physically active lifestyle with as little screen time as possible, combined with a healthy, organic, whole food diet. Learn more about fighting obesity at FightObesity.news.